Four sets of Wallsticks, air impact wrench, socket & bolts. 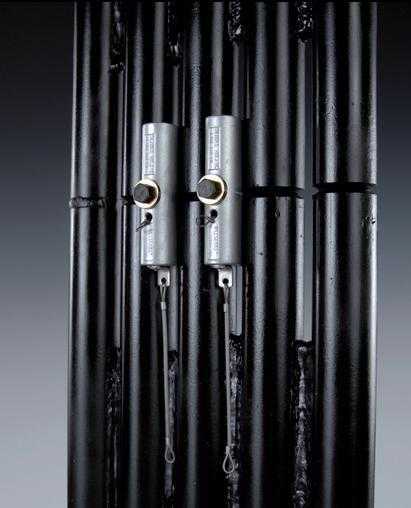 Quickly and accurately aligns waterwall tubes with 1/4” or 3/8” membrane. Wallsticks™ can be used with a single set or in combination with 2 or more sets. 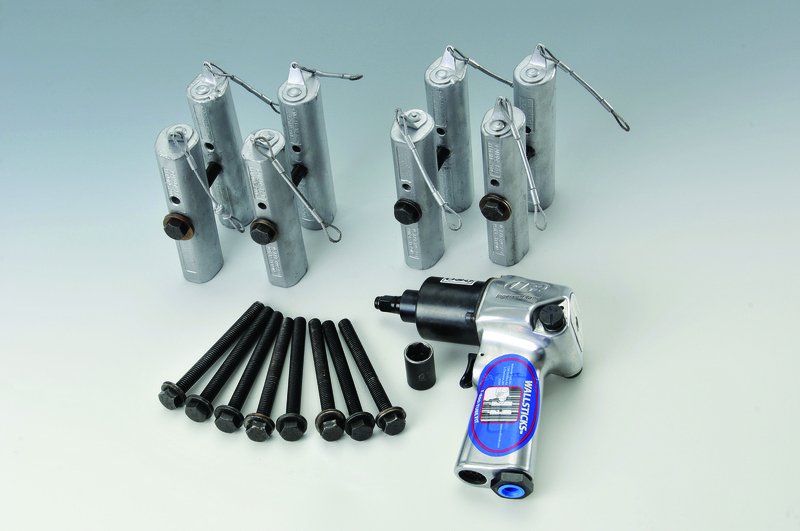 One “set” includes: 1 – clearance half and 1 – threaded half with bolt and an impact wrench. Each Wallsticks come with your choice of 3/8” or 7/16” grade 8 bolt. Only tighten bolts evenly and as needed to bring the waterwall panel into alignment. Made of high strength heat treated stainless steel.